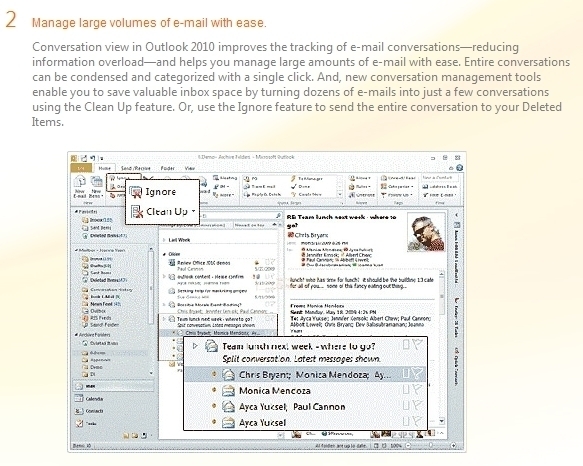 Having heard a beta of Outlook 2010 was out, I decided to take a look to see how Microsoft might have improved its UI. 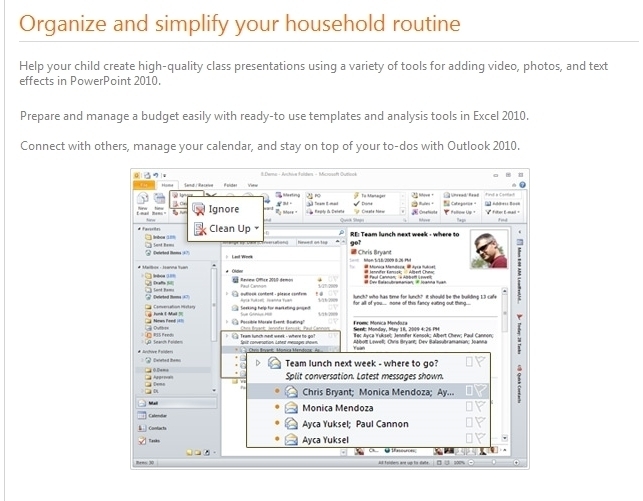 I googled "outlook 2010" and was about to look at Google Images when I decided that Microsoft would probably have some more polished, more well-presented screenshots on their Outlook 2010 site. Boy, I don't think I could have been more wrong. Not only does the website look very half-assed (lame design), but some elements on the page make me think they tried to use Microsoft Word to publish this site. And no, the site doesn't look any better in IE 8. Check out that awesome pixelation action! Come on, Microsoft. Did you save this in Paint? I mean, I know Paint is your program, but it's okay to use this little industry standard program called PHOTOSHOP. Microsoft, I've always been a fanboy, but when you do stuff like this, it makes me really sad. I played with 2010 beta on my new laptop but it kept hanging up when I would try to delete an email so I gave up on it.